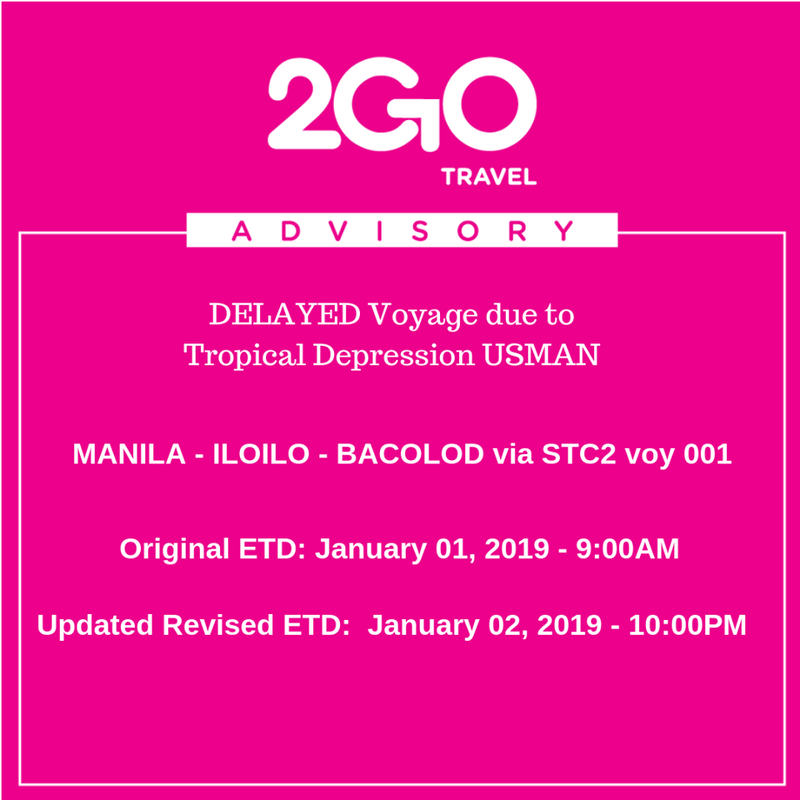 2go Travel Promo Fare: Today, 2Go Travel just recently announced their Sea Sale promo for the Araw ng Dabaw festivity. With just Php 1500, one can visit Davao and witness their colorful celebration. It is already exclusive of Service Fee | Rates are non-refundable but rebookable. | Subject to applicable fees and fare difference. | Applicable for SuperValue and MegaValue accommodations only. And of course, do check out the 2GO pop-up store in SM Bacolod for a 3-Day Sale! 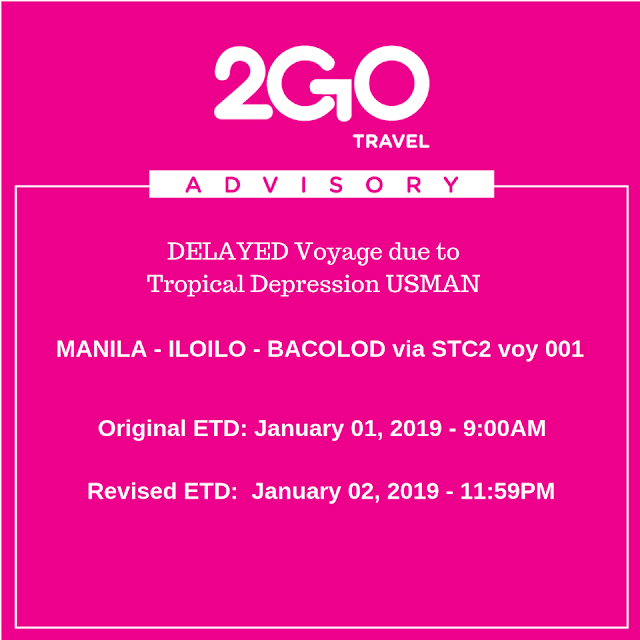 For as low as P800, pwede ka na magpa-book sang inyo biyahe halin sa Bacolod ukon pakadto sa Manila! Dali na! Ang ini nga all-in rate halin March 1-3 lang kag mabakal lang sa 2GO Store sa SM Bacolod! 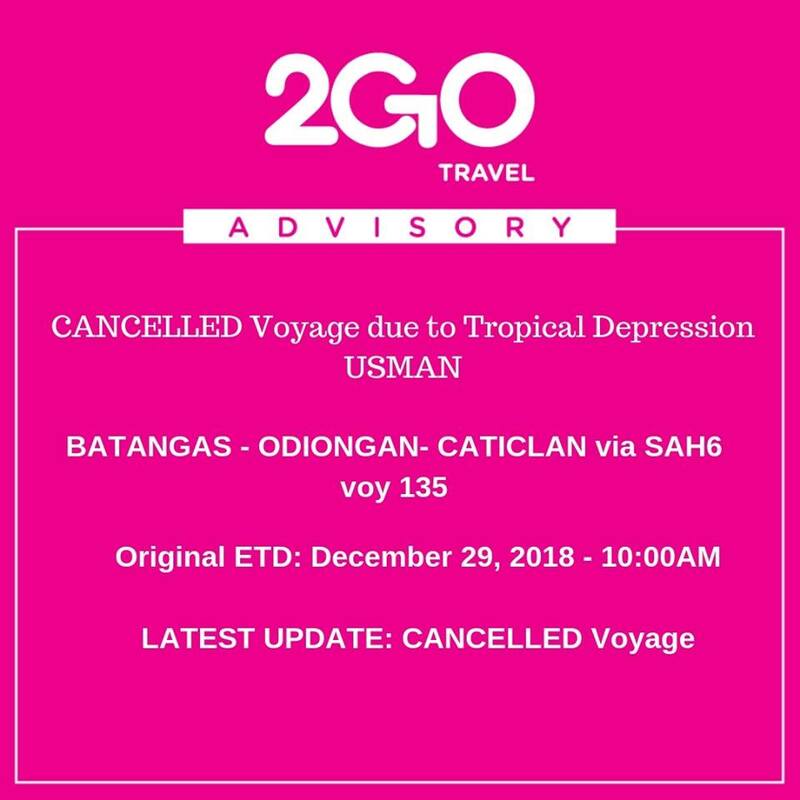 Please do advise for this latest travel advisory. 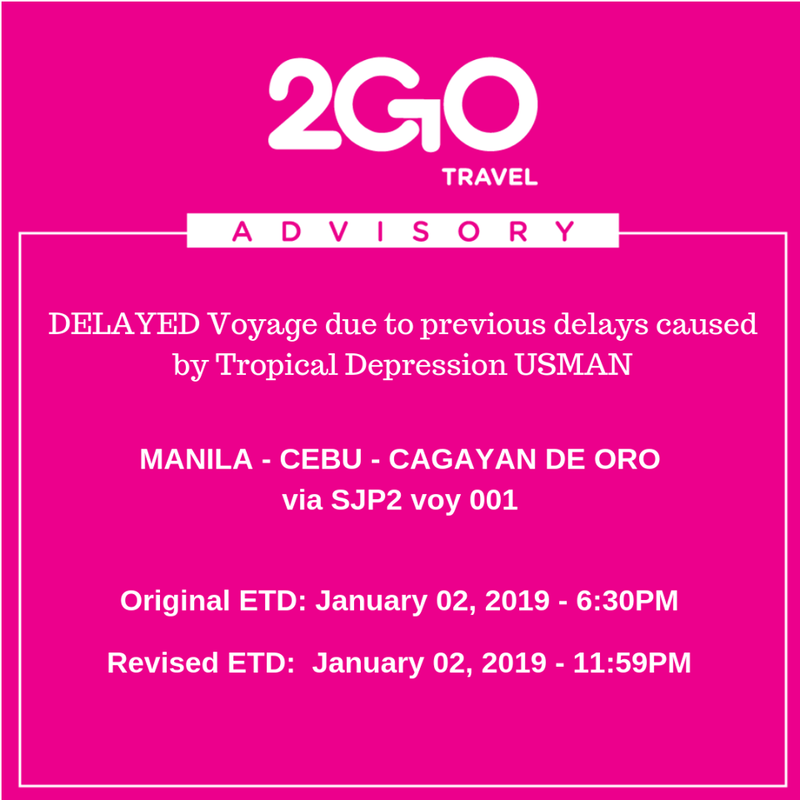 2go Travel Promo Fare: 2Go Travel is so concerned with safety of its passengers and it is right that they adhere to the advisory of our Philippine Coast Guard. 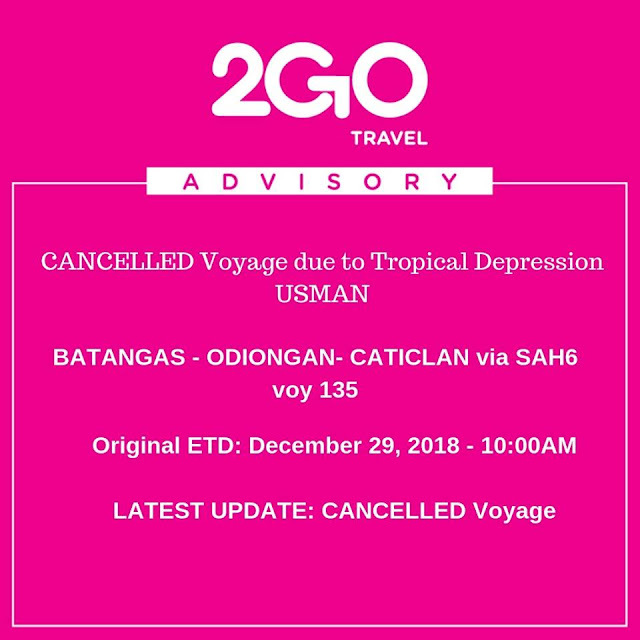 Tropical Depression USMAN is definitely paving its way out of the country but it affected and damaged a few areas on our country. Everyone is advised to take caution and be alert at all times. For Sea Travelers, it is best to try to understand trip cancellations and delays as it is definitely necessary for the safety of all. 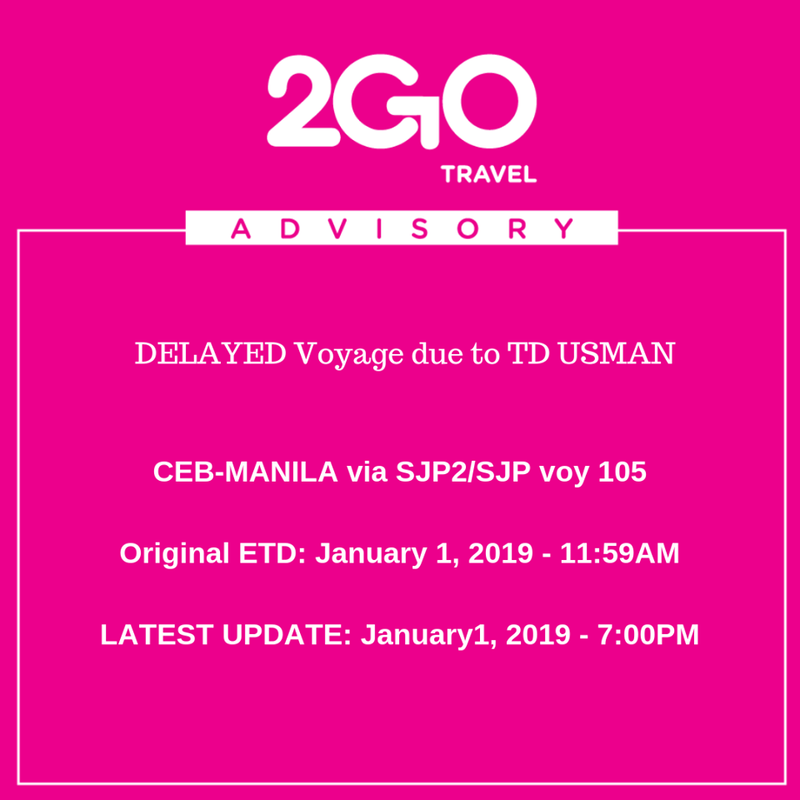 The safety of the passengers and the vessel crews is the paramount concern above all.